When you hear this acronym, ACT, what is your gut reaction? 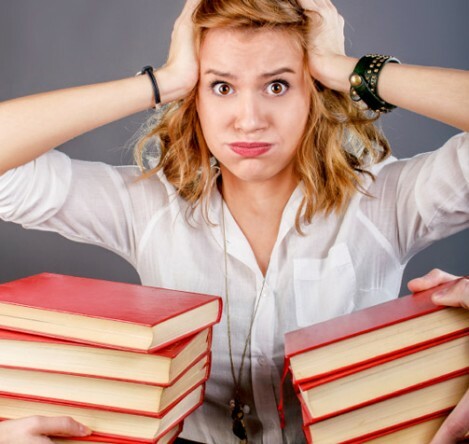 If you are calmly recalling, oh, the American College Testing Exam, now known just as the ACT, then you surely do NOT have a high school junior. If the mere mention of the test causes you Anxiety, Conflict, and Troubling thoughts … then you share my definition of the ACT. What is it about this test that makes most of us want to scream? What can we do as parents and for our children to lessen the anxiety? It’s often hard to believe, even for ACT veterans, some of the comforting words we hear ourselves and others say. “There is a school for everyone.” Our rational mind knows this to be true, but we tend to lose sight as to what it means. One of the most poignant points I recall our high school counselors making is that each child should apply to three schools that they are very likely to get into, and would be happy to attend. With an open mind, and college visits, most kids are likely to find three possibilities. My child’s three schools may look very different from yours, and the environment your child might flourish in, could be a recipe for disaster for mine. It’s our responsibility to help our children find THOSE schools. It doesn’t matter if it’s not one of the schools that “everyone” seems to be dying to get into this year, what matters is that it’s a school where your child will be comfortable socially and academically. “I can’t believe how many kids got in the 30’s — everyone scored really high!” Take pause, and remember this one word — “embellish” — defined as: to enhance. Really, EVERYONE scored in the 30’s? Hmmm, I recall taking Stats; 8 kids out of a class of 400 is not a statistically valid sample! “It will all work out.” Yes, it’s hard to believe this mantra as we enter ACT season but I know from my experience and that of my friends, that this is true. I have two older boys who chose two very different Big 10 schools; each has proved to be an ideal fit for them. Unfortunately, it doesn’t always work out that way and that kids do transfer, for a major, the ability to get into a college they couldn’t get into directly from high school, or for social reasons. Therefore, I pledge that each time a new batch of scores are released, I am going to ground myself by rereading the very words I just wrote. Keep in mind that times have changed, I was completely shocked and did not expect what occurred the first time my eldest son received his ACT scores. He and I went downstairs and logged into his account on my desktop. Nervously, we waited for the scores to load, as yet another password request was required. At that stroke of midnight, homes were lit up along the North Shore, as juniors anxiously logged on to view their scores. Immediately, his cell phone started buzzing, by 12:05 am, he and I both knew that Isabelle got a 34, Jonathan a 32, Abby, a 27. However, what we didn’t know was that Abby’s 27 was as exciting to her as Isabelle’s 34. Abby had worked really hard, taking practice test after practice test to move up her score. Twenty-seven was just the number she needed to virtually guarantee acceptance to her dream school. Jonathan, with his higher score, was in panic mode; as he realized that in order to get into his top choices he was going to have to do better. A number doesn’t begin to describe all the things you love about them. You can’t quantify their funny sense of humor, the way they help a friend in need, or how proud you are of their volunteering efforts. Also, don’t forget to let them know that sibling comparisons are not allowed! Remind them that success is measured in many ways. When CNN presents its “Heroes of 2013, Everyday People Changing the World” — there is no mention of monetary success or the college, these outstanding individuals had attended. Maggie Wilderotter, CEO of Frontier Communications, was raised in family of four girls. Their father, a Korean War veteran and AT&T executive shared everything he knew about business with his girls; discussing profit margins with his daughters while they were still in grade school. Their mother taught them that ambition was part of femininity. Each of the girls went on to be impressive leaders and executives in their chosen fields. When it was announced earlier this week, that Mary Barra had been chosen as the new — and FIRST woman — CEO of General Motors; no one objected or dismissed her accomplished career because she did not attend an Ivy. You see, Barra graduated from what is now known as Kettering University, a small school located in Flint, Michigan. There was not a single mention of her ACT score. So, what can we say to our child who is disappointed or even to the child who is thrilled over his or her scores? We can let our kids know that a number does NOT define them.